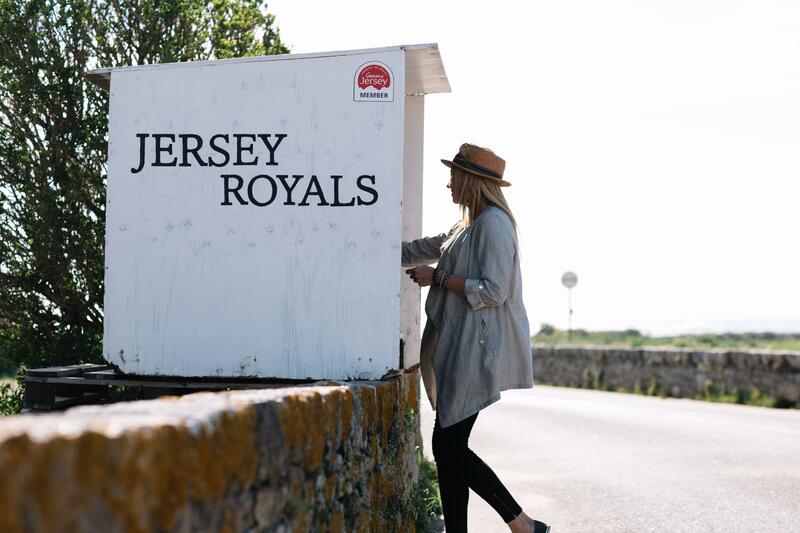 This small island is bursting with flavour as local produce ranges from seafood that has literally come straight from the clear waters surrounding Jersey, to the rich creamy milk of the iconic Jersey cow. Jersey really is a foodie heaven with unique beach cafes, classy restaurants, farm stalls and small delis all combining to produce an amazing eating experience. In fact Jersey has 3 Michelin star restaurants, meaning the island lays claim to being one of the most starred dining destinations in the world. The Atlantic Hotel & Ocean Restaurant, the Club Hotel & Spa and Bohemia Restaurant and Ormer Restaurant all boast Michelin stars and you can taste their award-winning food through our very own luxury Jersey Hotels’ Michelin Experience package. If you are heading on a holiday to Jersey here are some of the foods that you really should try during your visit to this spectacular island. Jersey Royals have been grown on the island for more than 130 years and now there are around 20 island farmers who grow just these potatoes. Those of you heading to Jersey in the coming weeks will be in luck, as the first Jersey Royals are just in season with harvesting taking place from the end of March through to July. According to the Jersey Royals website, in May up to 1,500 tonnes of these potatoes can be exported daily. One of the many reasons these new potatoes are regarded so highly can be put down to the care that is taken into growing and harvesting them. Once harvested Jersey Royals are checked twice by farm workers and by quality controllers before being exported. 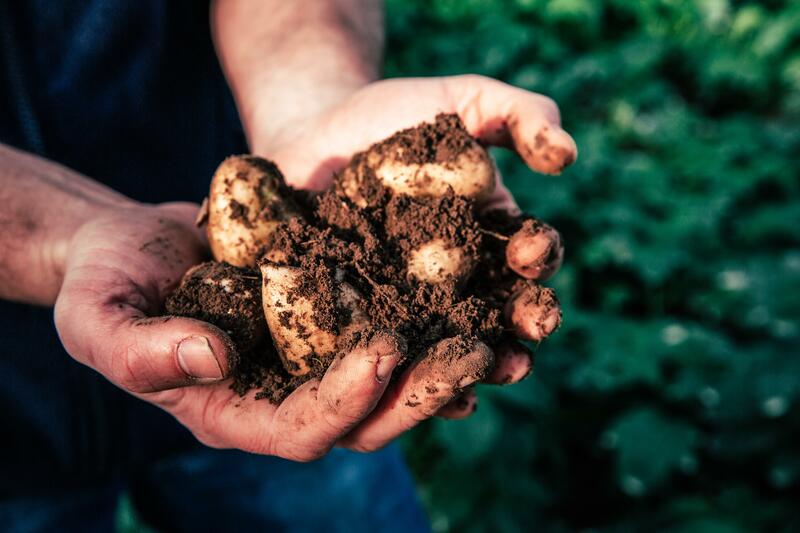 Due to their popularity, Jersey Royals can be picked up across the island at farms stalls and can be tasted in cafes and restaurants. These potatoes really are the pick of the crop! 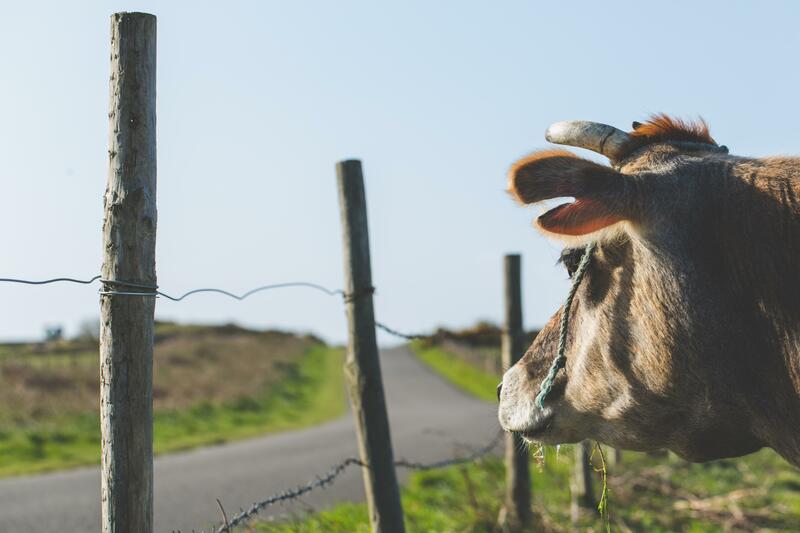 You can’t leave the island without tasting some ice cream made from the milk of the famous Jersey cow. One of the best places to try this sweet treat is at the Classic Farm Shop, which is located at La Route du Manoir in St. Peter. The farm is the only independent dairy in Jersey and the ice cream is available in 500ml tubs and is produced from its own herd of Jersey cows. You can try a variety of flavours including Strawberry, Vanilla, Chocolate, Rum and Raisin, English Toffee, Cappuccino, Banoffee, Fruits of the Forest, Rhubarb, Black Butter and Mint Choc Chip. The farm shop also sells milk, cheeses, yoghurts and cream that has been made with Jersey cow milk. With the third largest tidal range in the world, Jersey boasts the perfect environment to harvest oysters. The Royal Bay of Grouville is the home of many oyster farms on the island as it has some of the cleanest sea water in Europe. It is these conditions that make Jersey oysters so special as their flavour is taken from the environment they are grown in, meaning the unique delicate, fresh and salty flavour can be put down to the crystal clear waters around Jersey. 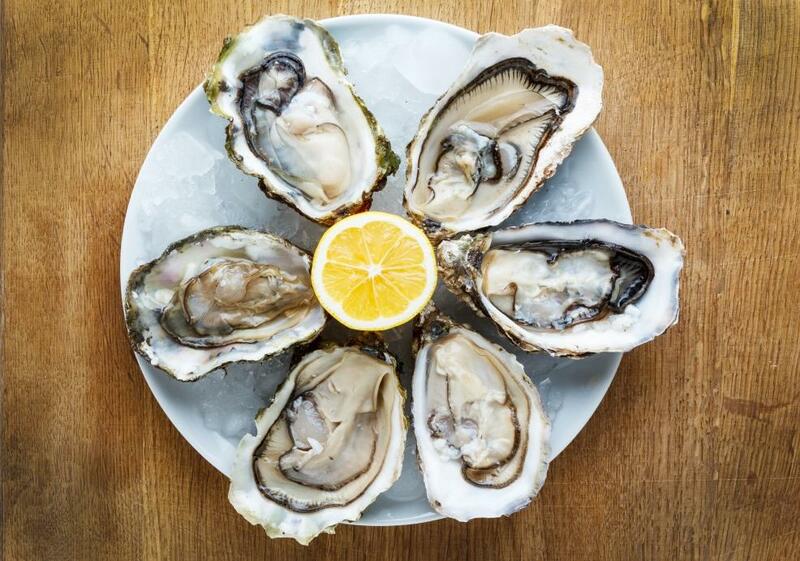 The Pacifics or rock oysters as they are also known are available all year round, while the smaller, smoother and extremely rare native oysters from Jersey are only available to eat from September to April. One of the most famed farms on the island is Jersey Oysters as they were the first oyster farm to be ASC Certified, an award given to businesses for responsibly farmed seafood. You can eat the most delicious oysters you will probably ever taste at a number of restaurants dotted across the island, including The Crab Shack Gorey. This restaurant is well-known for serving fresh Jersey oysters on a bed of crushed ice. Oysters are so synonymous with the island that there is even a sea foraging and oyster trail. 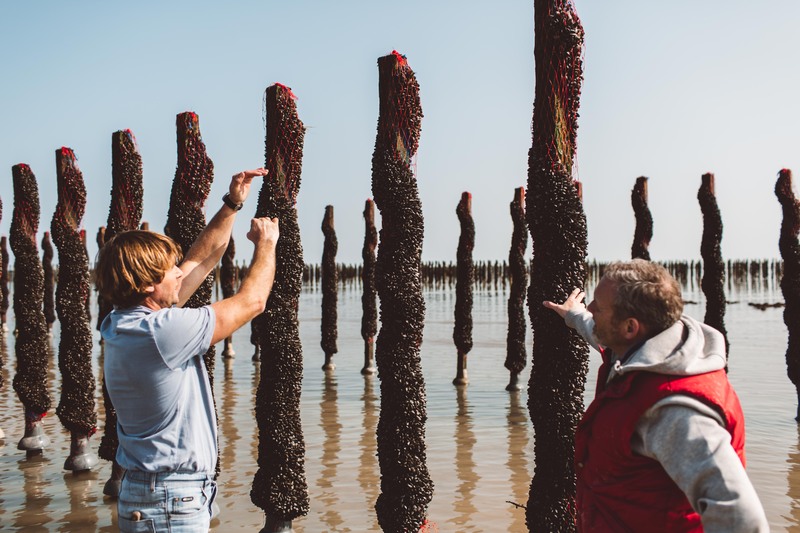 Here you can stroll down one of the biggest oyster beds in the UK whilst learning about oyster fishing and Jersey’s gold rush. To top it off, you can then enjoy six natural or grilled Jersey oyster with a glass of wine or a pint of beer at the end of the walk. 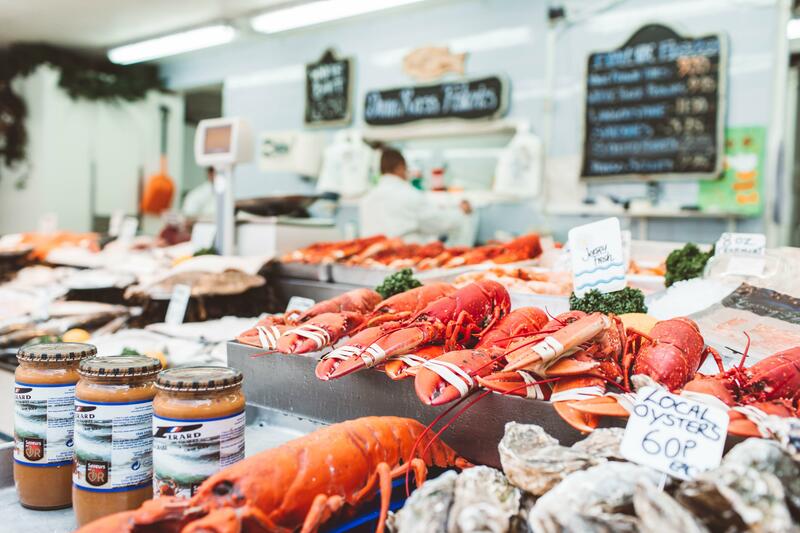 As a result of the currents that circle Jersey there is an endless supply of shellfish, crab and lobster and if you see these foods on the menu then it is highly likely that they have been locally caught. Faulkner Fisheries is a great place to visit if you want to taste some of the best locally sourced seafood, including grilled lobster, local scallops, mackerel, crab, shellfish, cockles, crayfish and mackerel to name just a few. The Faulkner Fisheries summer bbq is a famous event that you can attend from spring until the autumn. 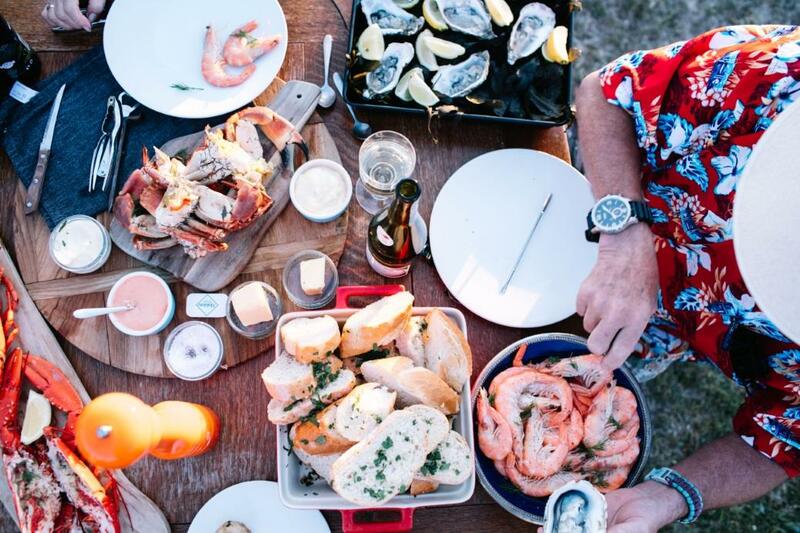 This is a unique experience as local fish and shellfish are prepared and eaten al fresco on Sean’s Beach, Pinnacle Beach or on the Vivier Panorama. Although the Jersey Royals steal the headlines, there are a number of other vegetables that are grown on the island. 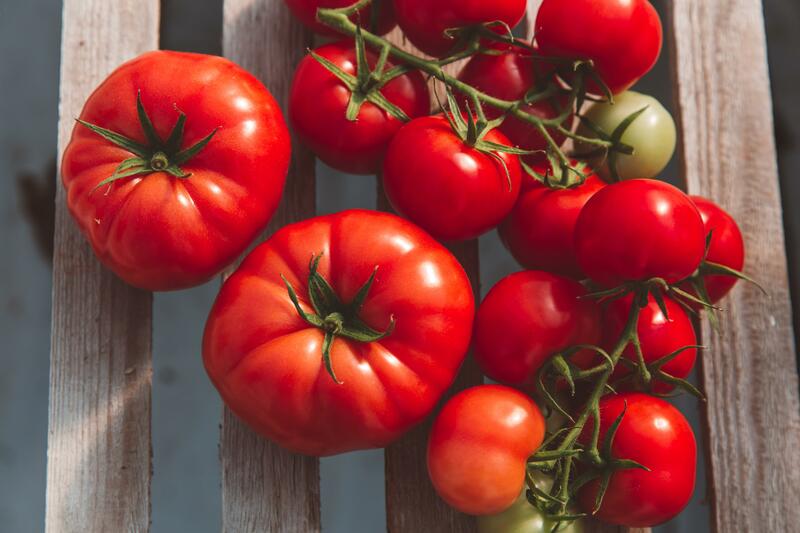 Tomatoes, courgettes, cauliflowers, peppers, parsley and calabrese are also produced in Jersey and if you drive or walk around the island you will see plenty of stalls selling this locally grown produce. If you are looking to try a traditional dish then keep your eyes peeled for bean crock or bean jar. The dish is a mixture of beans with pork and although it was pig trotters that were originally used as the meat, nowadays it is belly pork. Many cafes on the island still serve this very traditional meal. This entry was posted in Jersey News and tagged Jersey, Jersey Cows, Jersey Food. Bookmark the permalink.